New Year’s resolutions dictate the annual renewal of an unused gym membership but, for those still unwilling to leave the lounge behind we’ve rounded up five of the best home workout spaces, from punch bags that keep you fit while you type to a basketball court that doubles as an entrance hall. 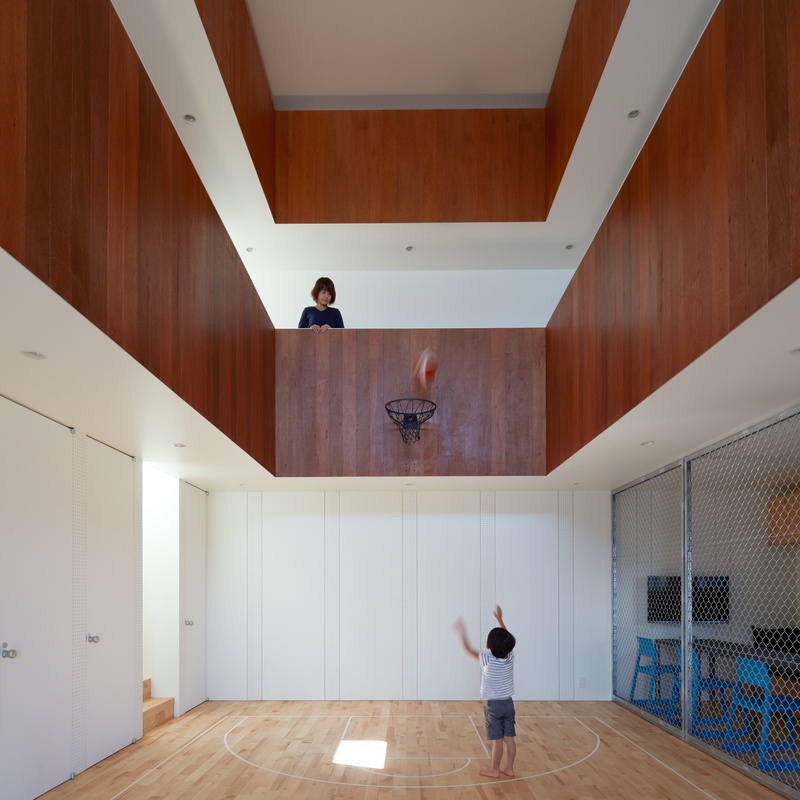 An indoor basketball court takes the place of an entrance hall in this home in eastern Japan designed by Koizumi Sekkei. Rooms surround the wooden court, but are protected from stray balls by sliding doors and metal grilles. 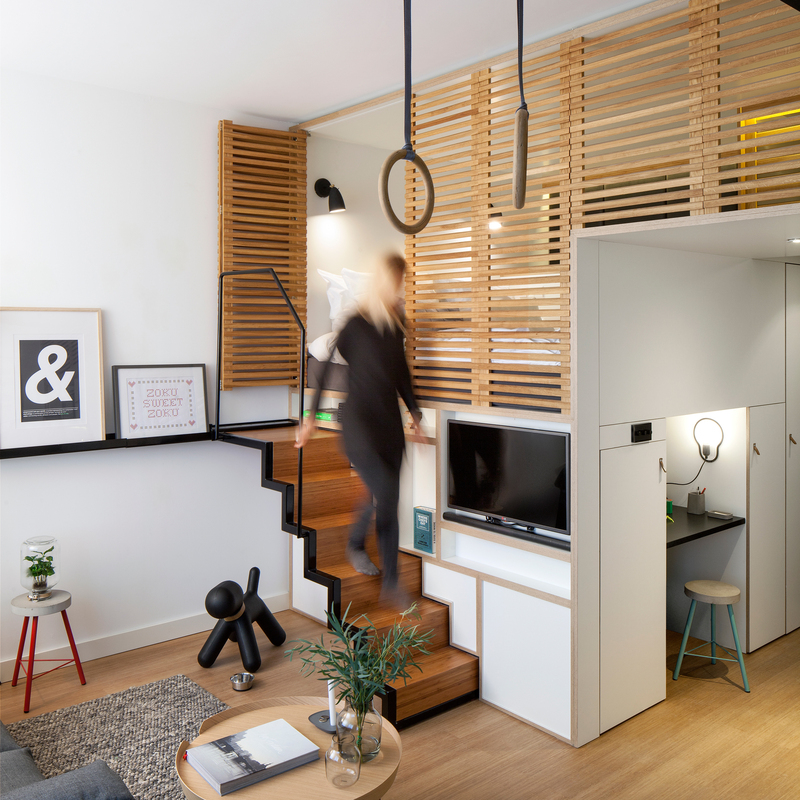 A pair of gymnast’s rings dangle from the ceiling of this Montreal home renovated by Naturehumaine to create a workout space for the client’s athletic children. The apparatus is installed in a double-height atrium and overlooked from a gallery above. 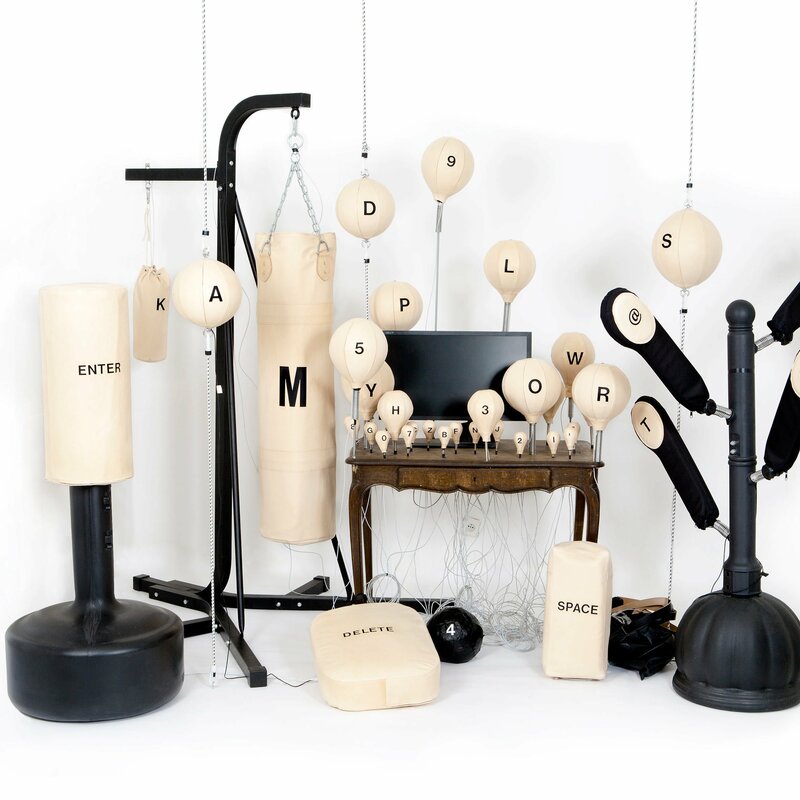 Punch bags take the place of keyboard keys in this conceptual computer by Ines Kaag and Desiree Heiss – the perfect home office for a fitness fiend. The designers developed the Workout Computer to “blur the boundaries between working in the office and working out”. Gymnast’s hoops allow guests at this Amsterdam hotel an impromptu workout. Concrete styled this suite and 132 others in the same block as micro apartments, giving guests all the amenities they might expect at home. 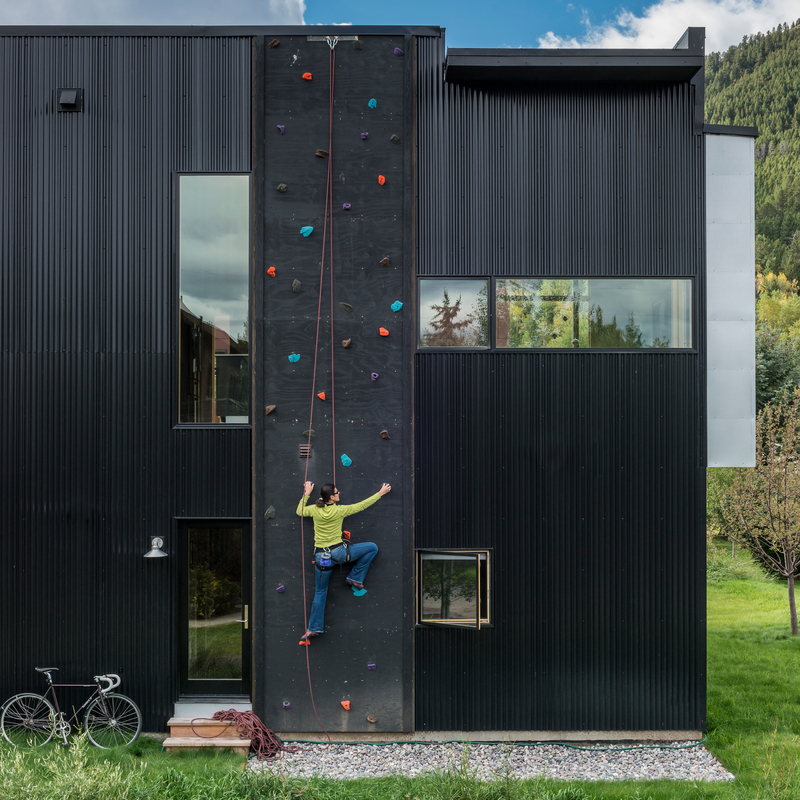 Brightly coloured foot- and hand-holds form a climbing wall at one side of this corrugated metal-clad house in Wyoming by Carney Logan Burke.